Pep Guardiola has refused to label his Manchester City team as the favourites for this season’s Champions League crown, instead passing the honour to his former team–Barcelona. The Catalan’s comments is at odds with 10bet’s predictions that places City as the strongest team heading into the knockout stage of Europe’s top Club competition and the most likely to win it when the final game is played in Kiev around May. 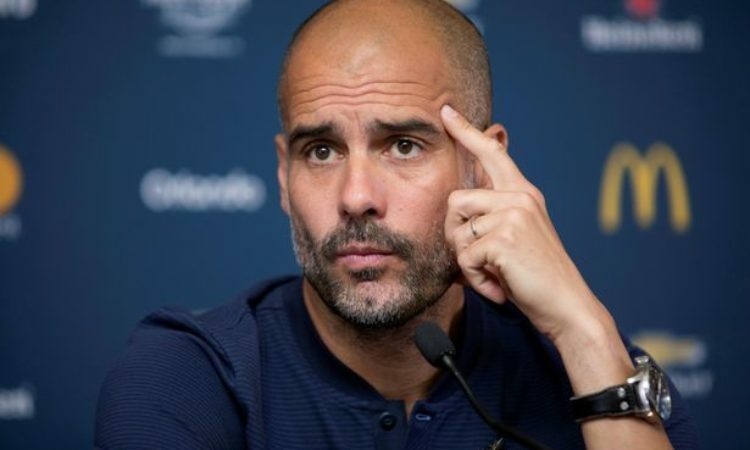 Guardiola, himself a two time winner of the Champions League with Barcelona, believes his City side(currently on an 18 match winning streak in the Premier league) are still no match for a Barcelona side that can still call on the services of former protege –Lionel Messi. Messi, seen by many as the best player to have ever graced a football pitch ahead of the likes of Pele and Maradona, has again been in outstanding form this season for Barca. The dimuntive Argentine in his last La Liga appearance for 2017, delivered a top drawer performance as Barcelona demolished Real Madrid 3:0 in the El Clasico derby. He had single handedly run the entire show earning a goal and an assist in the famous win which opened up a 14 points gap between the two rivals. His strike against the Los Blancos was his 15th league goal of the season, a tally which represents a third of Barcelona’s overall output. Messi also continued his knack for averaging 50 goals a season, as he ended 2017 with an impressive haul of 54 goals for club and country accentuating his reputation as the Catalan giant’s most decisive player. On many occasions this season, Messi, who recently signed a new lucrative contract that will see him end his playing days at Barca, has literally carried Barcelona on his shoulders with a host of stars suffering slumps in form. Luis Suares most notably had appeared to be off top form for many weeks but that was to matter little as Messi shouldered the goal scoring burden of Barca, rather impressively,ensuring that Ernesto Valverde side end the year nine points clear at the top of La Liga and unbeaten in their first 17 games. Messi presence elevates Barcelona to an entirely different level which is probably why Guardiola is wary of under rating them.